You steer an automatic. You drive a standard. 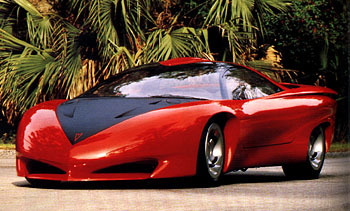 Since its inception in 1993, the Dodge Intrepid was my favorite car. After watching an advertisement on television one night, I decided that this was the car I wanted. However, starting with the 1998 model year, the body style has been redesigned and it is no longer as appealing to me. As my first car started to show its age, I began looking for another one. Since the Intrepids changed (not that I would have gotten a new one anyway) and the fact that they only came with an automatic transmission, I decided against them. I had seen some Eagle Talons driving around town and liked the look of them. I did a bit of research into them and decided that I would like the Talon Tsi. It had the turbocharged engine which made it more powerful than some six-cylinder cars. After inquiring about insurance, however, I needed to consider another car. During my search for a new car, I had looked at a Nissan Altima once. Before I knew much about what I was driving, I thought it had a six-cylinder engine. It was also a 5-speed which was what I was looking for. There didn't seem to be one in the right price range and I still had a mindset for the Sunfire, so I kept looking. After inquiring about a Sunfire GT I had found a little more than 500 miles away, I decided that I would take another look at an Altima. I was preparing to leave for college in a few weeks and finding a car was imperative. I had found another 5-speed Altima just a couple days earlier and after driving it again, I decided it was the car I wanted. I've had a 1997 Nissan Altima since August 1998. However, I will be looking for a new car in the near future. Right now, my sights are set on the BMW Z4. I will definitely not be getting the run-of-the-mill grey color, though. But, I think I will wait a bit longer until the insurance rates drop at age 25.